Lunch time, is my favourite time of day – and definitely my preferred time to dine out. Value for money is at its peak during midday dining and the relaxed atmosphere of a lazy late lunch is hard to beat. Adventures into the city are seldom complete with a bite to eat – and here are some great places to start! 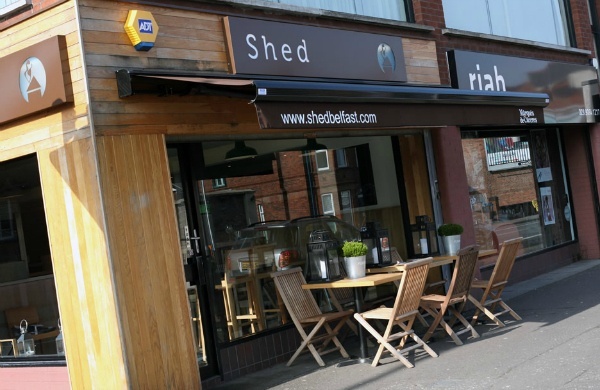 Shed Bistro is located on the edge of the city, a lively little place – with outdoor seating, should the day be a warm one. There is no set lunch menu here, but the a la carte offering offers good value coupled with great variety. Service is always friendly, and I enjoy being able to watch the chefs at work in their long open kitchen. A chef has to be very comfortable in their job to open themselves up to the customers like that – and the kitchen team in Shed certainly have no problems turning out some highly satisfying meals. Id recommend trying the Monkfish Scampi – the fabulously light piri piri batter really compliments my favourite fish! 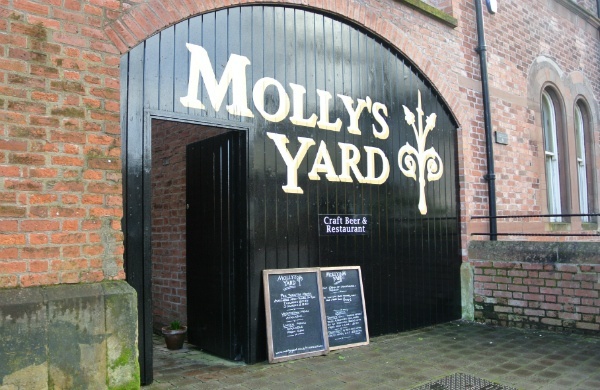 Molly's Yard is an oasis of calm, located off its own little courtyard in the centre of Botanic Belfast – nestled quietly beside the buzzing University. Or 'Far from the madding crowd' as they so aptly put it! Commited to the very best in local produce, their menus include many a local treasure. From goat to beef and cheese to gin – you are sure to find something you'll love. And dont forget they brew their own beers too. At the distillery and sister restaurant The Tap Rooms, Hilden Brewing Company – Ireland's Oldest Independent Brewery! Barneys Brew is my favourite, but there is a beer to suit every palate. Just ask, the staff are only to pleased to help! Home Restaurant was first brought to my attention when I found out it was a sister restaurant to one of my favourite spots in Belfast, Mourne Seafood - But I soon discovered it was a superb restaurant in its own right. The menu is highly varied, with separate menus for both coeliacs and for those looking for a lower calorie option – meaning this is truly somewhere you can take anyone! From the burger lover in your life to the one who is always watching what they eat. For me though, it's all about the Warm Pulled Pork Sandwich. Of course, this is just a small selection of the many fine dining options in Belfast. All of which I am endeavouring to try – I’ll be sure to keep you updated! Browse deals for eating out in Belfast.